KABUL, 25 April 2018 – Over 40 government officials from the Northern Afghan provinces of Balkh, Jawzjan, Faryab, Sare Pul, Samangan and Baghlan attended a two-day multi-stakeholder Sustainable Development Goals (SDGs) on Agriculture and Natural Resources Management workshop in Mazar-i-Sharif from 24 to 25 April 2018. Multi-Stakeholder SDGs Workshop on Agriculture and Natural Resources Management (NRM). SDGs Workshop on Agriculture and Natural Resources Management Held Across Afghanistan. 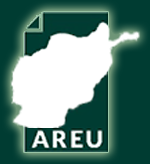 The Afghanistan Research and Evaluation Unit (AREU) has secured the 5th Place Ranking Among Central Asian Think-Tanks and 26th Among 145 Independent Think-Tanks in the latest Global Survey.